If you were flying internationally May 18, 2017, to or from the the Atlanta Hartsfield Airport, you were definitely in for a SURPRISE. Not only were you going to be checking in or coming home, but you got a glimpse of one of the most elite fashion displays to hit Atlanta yet. 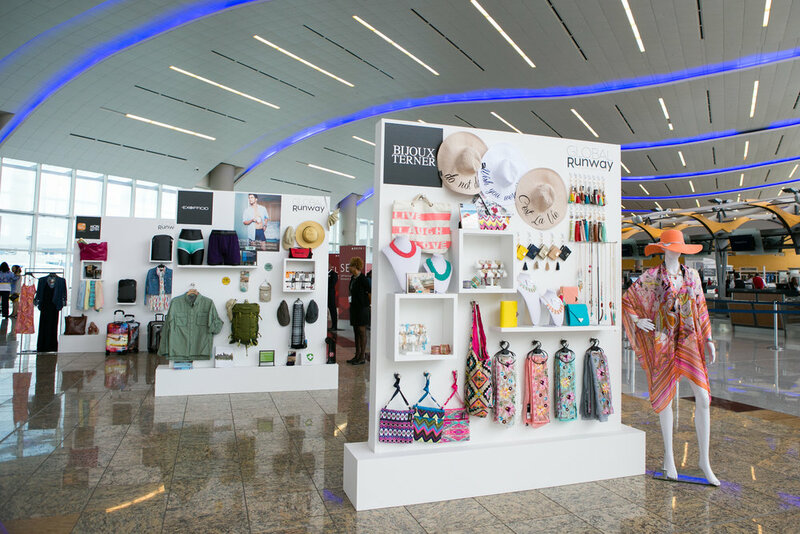 And yes, it all took place in the airport and we were lucky enough to be apart of the show as one of six influential style ambassadors [belssings!]. The 2017 style ambassadors included Jenna Wessinger, Vincent Martinez , Satchel Jester , and Emily Loftiss. 10 Squared Pr, the dream team behind the Global Runway presentation, created a stunning fashion display highlighting brands from the ATL Skypointe. Brands such as Tommy Hilifiger, Swarvoski, Sean John, and Atealle draped some of the most gorgeous models we've ever seen. On top of the fashion display, the 250 guests enjoyed pop up shops from some of our favorite brands such as ExOfficio, Bijoux Terner, Luxe International and Mori Luggage. The energy at the Global Runway experience was electric. The Atlanta Hartsfield Airport was on fire, not literally, but figuratively. We were not only thankful to represent the Global Runway as a style ambassador but simply thankful to have witnessed such an epic fashion display in Atlanta. We can not wait to see what's next for Global Runway.